Visit Delhi, Agra and the Taj Mahal, and participate in the Indian kite frenzy of Makar Sankranti in Jaipur on our very special 6 night kite festival tour. Desert Kite Festival 2015: We're back! 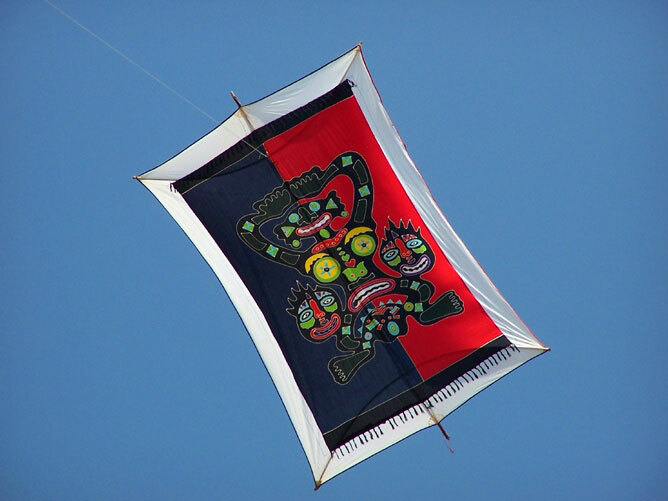 We started the Desert Kite Festival way back in 1997, under the patronage of H.H. Gaj Singh II, the Maharaja of Jodhpur. Through the years, the festival continued to grow, travelling from Jodhpur to Jaipur, Agra, Lucknow and Goa. Now, 11 years after the last festival in Goa 2004, we're back where it all began for the DKF 2015. We fly in Jodhpur on the 11th of Jan before heading to Jaipur for the kite madness of Makar Sankranti. This Indian festival is celebrated on 14th Jan, heralding the transition of the sun into the Northern Hemisphere. It's also a big kite day in most parts of India when children from 6 to 60 can be seen with their heads turned to the sky! In Jaipur, kites virtually blot out the sky. Everyone joins in this riotous celebration and shouts of "Woh kata hai!" reverberate from rooftops to the accompaniment of drums as adversaries’ kites are cut down. And everyone’s an adversary! Any kite in the sky is fair game. 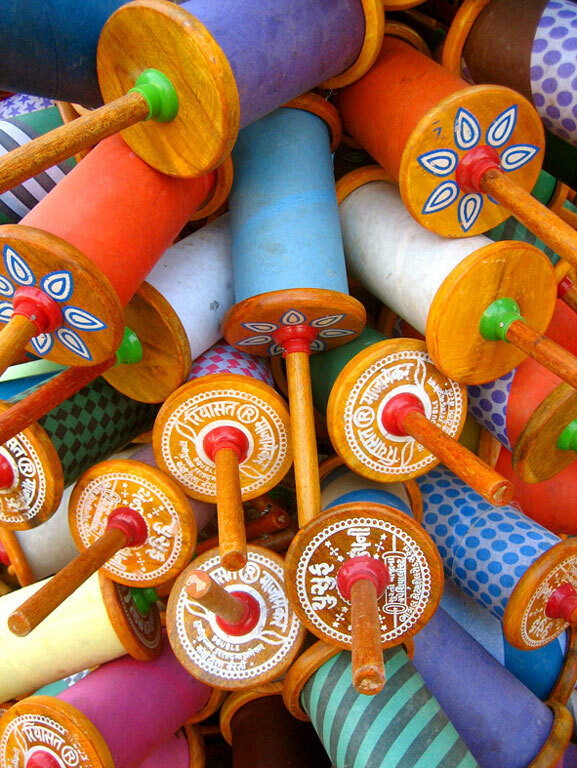 The idea is to cut the opponent’s kite with a special thread called ‘manjha'. Experience this vibrant event on our Kite Festival tour and be a part of the excitement of Makar Sankranti, along with kite fliers from across the world. Arrive into Jodhpur- the capital of the former Marwar kingdom, in the heart of the desert state of Rajasthan. Depending on your time of arrival, you can take a half-day guided tour of the city, including a visit to the spectacular Mehrangarh Fort that looms over the city and the royal cenotaph, the Jaswant Thada. Then join us and the international kite fliers for a welcome dinner... mingle with some of the stars of the kite world! Overnight Jodhpur. The Desert Kite Festival 2015 kicks off this morning. A full day of kite flying with music, folk entertainment, food, drinks and a DJ. Watch kites from all around the globe fill the sky above you... and grab a kite and join in! The festivities conclude at the end of the day with a music concert and night flying under (or rather over!) spotlights. Overnight Jodhpur. After breakfast, drive approximately 350 km (under 6 hours) to the Pink City of Jaipur. Check into your hotel and relax. The evening's free to enjoy at your leisure. Overnight Jaipur. See the sights and sounds of Jaipur today. Take a guided tour to the fabulous Amber Fort- the old capital of Jaipur. You can ride an elephant up to the ramparts of the fort. 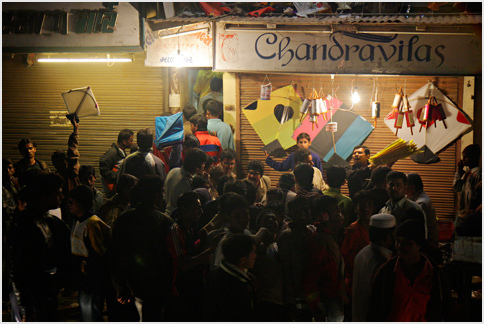 In the evening, we'll take you to Kite Street to feel the buzz and buy your kites and manjha. Overnight Jaipur. Makar Sankranti! Kite flying in the city will start before the break of dawn. If you’re an early riser you'll see the kites filling up the sky from your hotel. After breakfast we go to a venue where kites, kite lines and food await you. Our experts in the sport will guide you to fly your own kites and teach you the sport of Indian fighter kites. Or if you're familiar with the art, maybe you could school some of our foreign participants! Enjoy a fun-filled day as a participant and not a mere spectator; this will be an experience to remember. Overnight Jaipur. The kite frenzy comes to an end. Transfer to the airport to return... or take one of our post-festival tours and extend the celebration. Rajasthan's got some fantastic places to explore, and is an area of expertise for us. The weather'll be great too- so we recommend you take the opportunity to explore some of the country. Write to us for more on this and we'll get back to you with options suited to your preferences.